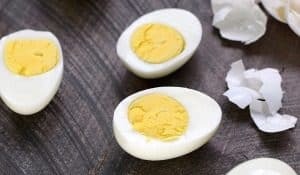 Are you still looking for a simple, toss together meal for days when you are too busy to think straight? 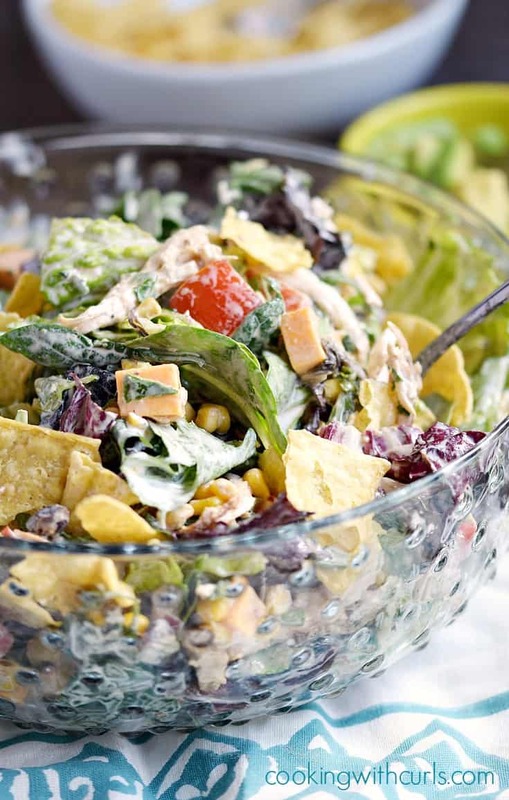 This Tex-Mex Chopped Chicken Salad is exactly what you need! 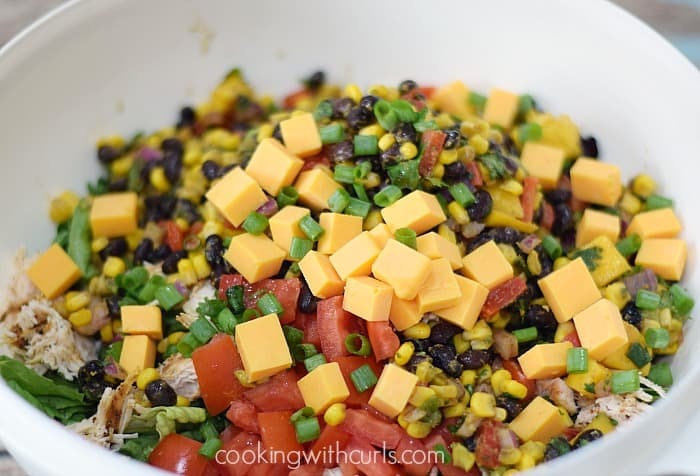 I have been trying to update the photos in my Southwest Chicken Salads for Spring and Summer, and decided to create another variation while all of the ingredients were sitting on the counter…..
None of my other salads contain cheese, so I thought it was time to shake things up…I even added tortilla chips! I feel so out of control, LOL No, not really. 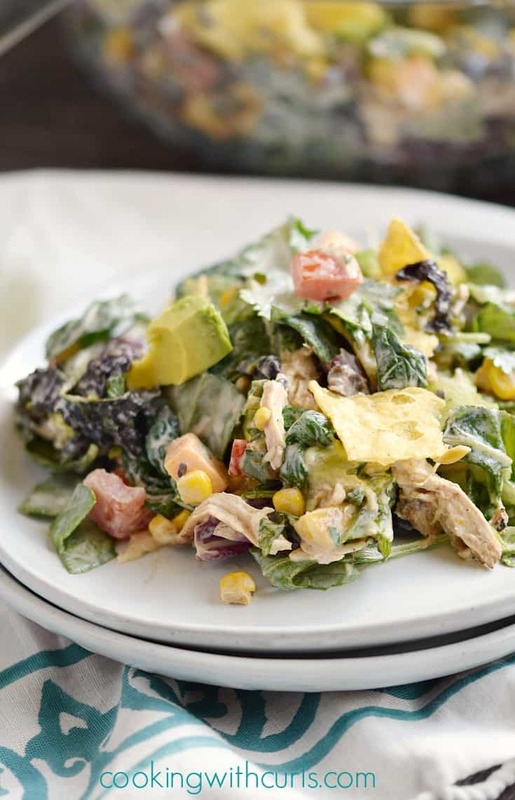 This Tex-Mex Chopped Chicken Salad has a little bit of everything for everyone in the family. If you don’t like or eat cheese, then leave it out. Don’t like soggy tortilla chips? Serve them on the side…. Start by finding the largest bowl that you own. 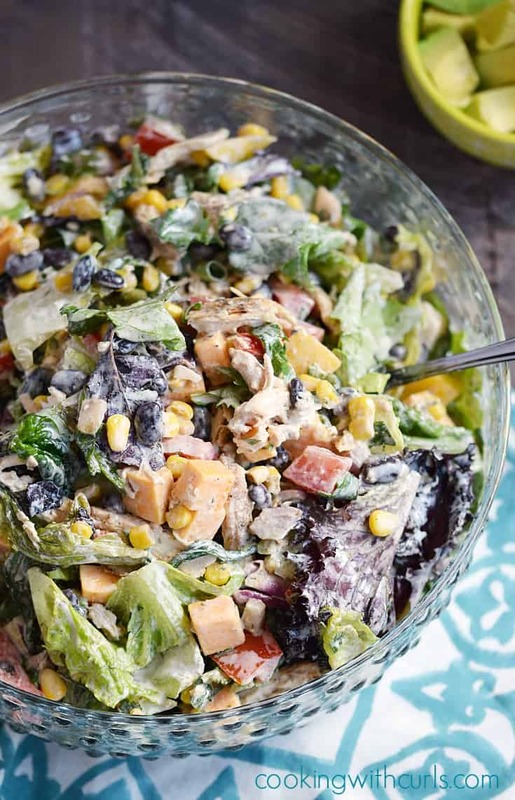 Add the lettuce, tomatoes, bell pepper, black beans, corn, green onions, cilantro, and cheese…..
Drizzle on the lime juice and Ranch Dressing**. Toss to combine….. If serving immediately, add in the tortilla chips and avocado and gently toss together. Serve with additional chips….. If you do not like your avocado chunks to get smooshed in your salad, or anyone is allergic to them like me, serve them on the side. 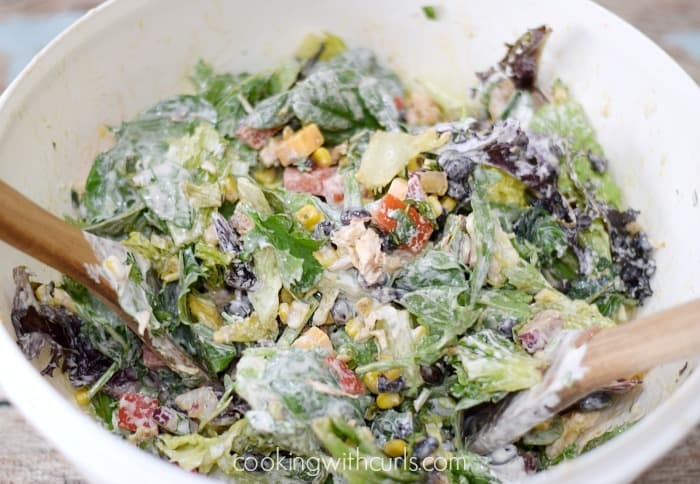 This salad is super fast to prepare using bagged lettuce and leftover or rotisserie chicken. I had bags of Romaine and Spring Mix in the refrigerator, so that’s what I used. **Homemade Ranch Dressing, Avocado Ranch Dressing, Chipotle Ranch Dressing, and Creamy Cilantro Lime Dressing are all good choices for this salad. 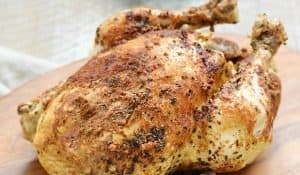 I use sliced or shredded Southwest Chicken in my salads, which can be made ahead of time and stored in the refrigerator. I cubed the cheddar cheese to be similar in size with the vegetables, but you could also use grated if you like. 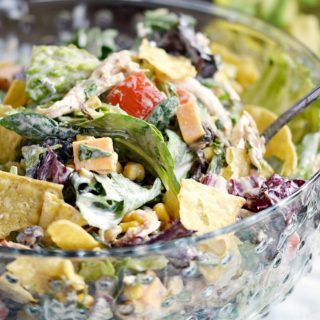 This flavorful Tex-Mex Chopped Chicken Salad is easy to toss together any night of the week, and can be changed up to meet your family's dietary needs and personal preferences! Start by finding the largest bowl that you own. Add the lettuce, tomatoes, bell pepper, black beans, corn, green onions, cilantro, and cheese. Pinned! 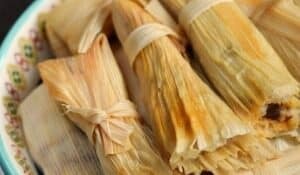 My aunt made something similar to this without the chicken and beans. I sent it to her though because i think she’d like this version more. Nom nom! Thank you so much Leslie, I hope your aunt enjoys it! Your salad looks amazing and would love to have you share on #OMHGWW this week!! Pinned to save and share.